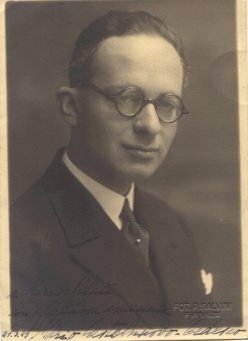 Mario Castelnuovo-Tedesco was born in Florence in 1895, into a prominent banking family that had existed in the city since the expulsion over the Jews from Spain in 1492. His mother introduced him to the piano while a child, and he composed his first pieces at nine years of age. Ten years later he had completed a degree in piano, and began studying under the renowned composer Ildebrando Pizzetti from whom he received a diploma in composition in 1918. At this time the blossoming artist was successful as a pianist performing as soloist, accompanist and chamber musician. The composer and pianist Alfredo Casella began including Castelnuovo-Tedesco's work in his repertoire and ensured that he was represented in the repertoires of the Societe Nazionale di Musica (later the Coporazione delle Nuove Musiche). This exposed him to a much wider European audience and he featured in the first festival of the international society of contemporary music, held in Salzburg, Austria, in 1922. In 1926 an opera based on a play by Niccoló Machievelli, La Mandragora was premiered. Castelnuovo-Tedesco wrote many works inspired by great literature, of which this was the first. These included interpretations of works by Aeschylus, Virgil, John Keats, William Wordsworth, Walt Whitman, Frederico García Lorca, William Shakespeare, as well as the Bible and Jewish liturgy. His expression of pride in his Jewish origins, or as he described them the "splendor of past days", included his violin concerto no.2 (1931) written at the request of Jascha Heifetz. 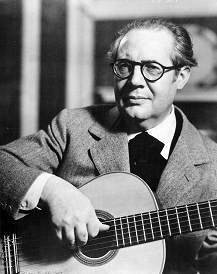 Mario Castelnuovo-Tedesco met the Spanish guitarist Andrés Segovia at the 1932 festival of the International Society of Contemporary Music, held in Venice, Italy. this meeting inspired the composer to write his guitar concerto no.1. He went on to compose almost 100 compositions for the guitar, and earn the reputation as one of the foremost twentieth century composers for that instrument. If you are a newbie yet a guitar enthusiast and you are seeking to buy one among the best guitars for beginners, then there are tips and facts you will have to put into consideration. In the leading up to the adoption of the Manifesto of Race in 1938, Castelnuovo-Tedesco was banned from the radio and performances of his works were canceled. The new racial laws introduced by the fascist Mussolini government convinced the composer that he should leave Italy. He sought the help of Arturo Toscanini, the former musical director of La Scala (The world renowned opera house in Milan, Italy) who had left Italy in 1933, who responded by promising to sponsor him as an immigrant to the United States. In 1939 shortly before the outbreak of world war two Castelnuovo-Tedesco set sail for his new life in that country. There the violinist Jascha Heifetz helped him secure a contract with the film studio Metro-Goldwyn-Mayer in Hollywood, working as a film composer of course. Working for that and other studios he contributed on some 200 film scores over the next fifteen years. In 1948 working with Rita Hayworth and her Beckworth Productions he wrote the music for the film The Loves of Carmen. He however still found the time to write concert music, as well as composing new operas based on American poetry. 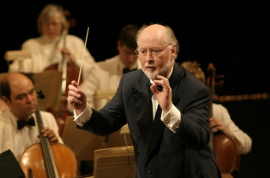 Now a mature musician in his forties, he was a sought-after as a composition teacher in Los Angeles, with John Williams, Henry Mancini and André Previn counted as his pupils. With the latter commenting that 'pupil of Castelnuovo-Tedesco' was virtually a requirement for young composers to be accepted at the studios. He was a valued friend for many : his cataloguer Nick Rossi commented "Mario Castelnuovo-Tedesco was not only the kindest and most generous person I've ever known, he was also the most brilliant". He died in Beverly hills at the age of 72. 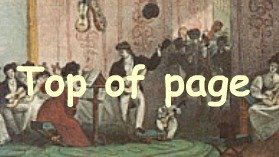 Suggest a video, mp3, or sheetmusic! This year sees the 2014 Bermuda Guitar Festival which is the 11th hosting of the event. Catch top guitarists, both local and international.